Fremeth, Howard. "Television". The Canadian Encyclopedia, 04 March 2015, Historica Canada. https://www.thecanadianencyclopedia.ca/en/article/television. Accessed 21 April 2019. Overlaying these two perspectives is the reality that Canadians have long been among the world's most avid television viewers with tastes that do not necessarily discriminate between domestic and foreign content, or between entertainment and education. Television is emblematic of the complex and often conflicting ways in which communication and media fall into the cultural, political, social and economic fabric of Canada. On the one hand, television has been promoted as a political tool to help foster a national culture and to educate citizens. As well, television has always been part of a globalized media industry that continuously introduces new technologies and content to respond to and create consumer demand. These different but not necessarily contradictory perceptions of television as a commercial and as a political instrument explain a regulatory system that attempts to balance the mandate of public broadcasters (eg, federally funded CBC and provincially funded TVO in Ontario and ACCESS in Alberta) with the economic interests of commercial broadcasters (eg, CANWEST GLOBAL and CTVGlobemedia) as well as cable and satellite providers (eg, Shaw Communications and ROGERS COMMUNICATIONS). Overlaying these two perspectives is the reality that Canadians have long been among the world's most avid television viewers with tastes that do not necessarily discriminate between domestic and foreign content, or between entertainment and education. On average, Canadians watch more than 20 hours of television per week, with less than 40% devoted to domestic content. Generally over the course of the history of television in Canada, English-speaking Canadians have tended to prefer domestic content for news, current affairs and sports while favouring American dramas, sitcoms and soap operas. As well, Canadians have always been quick to purchase new television technologies and to subscribe to new delivery systems. With the introduction of digital media, the advance of wireless devices, developments in Internet technology and the consolidation of the national media industry, the place of television in Canada has become even more complex and difficult to define. However, what is clear is that as the choice in television content has increased dramatically for Canadian households, so too has the financial cost associated with receiving this programming. Television first appeared in Canada during the 1938 CANADIAN NATIONAL EXHIBITION in Toronto. Introduced at an exhibit sponsored by the TORONTO STAR and the American radio manufacturer RCA Victor, television was trumpeted as a technological marvel that would soon become an essential part of home and public entertainment. Recognition of its value as a political tool would come later. Although the industrial demands of World War II delayed its mass production, by the late 1940s Americans were beginning to buy television sets and watch the television broadcasts offered by radio stations under the NBC and CBS networks. At the same time, since a majority of Canadians were in range of these signals, they too were purchasing sets, building antennas and tuning in to popular American programs such as the Howdy Doody Show and Milton Berle's Texaco Star Theatre. Much like in the debate of the late twenties over radio broadcasting (seeBROADCASTING, RADIO AND TELEVISION), television's immense popularity was a concern to many Canadian nationalists, both on a political and economic level. This concern arose during a time when the Canadian government was about to conduct the ROYAL COMMISSION ON NATIONAL DEVELOPMENT IN THE ARTS, LETTERS AND SCIENCES, which would examine the state of Canadian cultural institutions. In 1949, Prime Minister St-Laurent's Liberal government announced its policy on television: just like radio before it, television would be managed as a mixed private and public system that would help stimulate the domestic electronics sales and production industries as well as strengthen national unity. Under this policy, the French (Société Radio-Canada) and English services of the CBC television network were financed by taxpayers and would be given some time to expand their broadcasting services to other major cities as well as garner a national audience by connecting to private affiliates. Although there were only 146 000 television sets in the country when CBC began broadcasting from Toronto and Montreal in 1952, this number ballooned to an estimated 2.3 million by 1956. It was during the 1950s that CBC attained what some consider the height of its golden age with audiences tuning in to all formats of Canadian programming. In Quebec, the appeal of French language programming such as La Famille Plouffe was even more significant. However, despite this emergence of domestic content, Canadians still enjoyed popular American shows such as The Ed Sullivan Show and I Love Lucy. In fact, CBC helped to build an audience for their own shows by purchasing popular American programs to air before and after these domestically produced shows. As well, CBC signed a spin-off agreement with NBC to produce a Canadianized version of the popular Howdy Doody Show. By the end of the 1950s there was growing pressure on Prime Minister Diefenbaker's Progressive Conservative government from viewers and the private broadcasting industry led by the Canadian Association of Broadcasters to provide Canadians with even more programming. The 1958 Broadcasting Act helped to increase the number of television broadcast licenses by shifting regulatory power away from CBC and onto the private broadcasters with the establishment of the Board of Broadcast Governors. By the 1960s, television had become a prominent feature in nearly every Canadian household. In 1965, 92% of households owned television sets, which surpassed the percentage of households that owned telephones, automobiles and even installed baths and showers. The CBC remained the most important institution for the production of Canadian content. 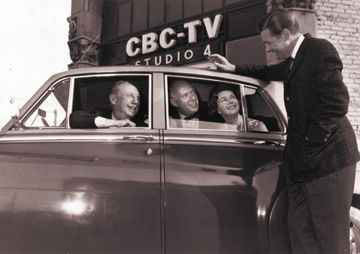 Although many of its early programs were either adaptations of domestic radio programs such as the WAYNE AND SHUSTER SHOW or imitations of popular American formats such as the variety show, CBC was now developing unique Canadian contributions to television with informative yet also entertaining shows such as FRONT PAGE CHALLENGE and the controversial THIS HOUR HAS SEVEN DAYS. However, the attraction to American programs never waned. Popular shows in the US such as Gunsmoke and live broadcasts of news stories such as the assassination of President Kennedy were just as carefully watched in Canada. As well, in 1961, the establishment of two new private broadcasting networks, Télé-Diffuseurs Associés (TVA) and CTV, would challenge the regulatory balance between private and public broadcasting. All of this emerged during a period of increased Canadian nationalism with the lead up to Canada's centennial year and the promotion of unique Canadian symbols such as the national flag. In this climate of increased patriotism and attempts to build a national culture, Canadian leaders viewed television as an important tool for Canadian identity and unity. Events such as the live coverage of Governor General Vanier's funeral in 1967 helped to strengthen the faith of key politicians such as Prime Minister Trudeau in the political power of communication technology. At the same time, economic nationalists such as Eric Kierans suggested that the federal government should support a domestic communication technology industry by favouring a consolidated corporate environment and discouraging foreign competition. The 1968 Broadcasting Act as well as the creation of the CANADIAN RADIO-TELEVISION COMMISSION (CRTC) and the DEPARTMENT OF COMMUNICATIONS in the late 1960s would lay the framework for an approach that considered television both a critical part of the national economy and a political tool to strengthen national identity. The introduction of Canadian content regulations in 1970 must be viewed as an attempt to stimulate a domestic media industry and as a way to appease political and cultural nationalists. As for Canadian audiences, the 1960s and 1970s brought a number of unique television experiences such as the special coverage of the 1972 Canada-Russia Summit Series, the introduction of popular Canadian shows such as the Beachcombers, and new distribution technologies such as CABLE TELEVISION. Despite this wave of nationalism, not much changed in terms of the viewing habits of Canadians. As the average number of channels available throughout the country nearly doubled from 4.6 in 1967 to 8.7 in 1977, 70% of all programming viewed during the highly valued primetime period (7 PM to 11 PM) was foreign. The shift toward cable, which began during the 1970s and increased rapidly in the 1980s, had an important impact on the balance between the political and economic perspectives of television. Although cable was initially valued as a way to extend service to areas that received no or very poor quality signals with consumers paying a small monthly fee for connection, it eventually came to be seen as a means of delivering more stations and content than was possible with over-the-air broadcasting. In 1982, the CRTC decided to allow pay TV, which enabled cable operators to offer additional channels that consumers could choose to purchase. This shift marked a departure from a broadcasting policy that was based upon the technical problem of a limited amount of space for content and the politics of providing the use of this space equally to all Canadians. As well, the decision by one pay TV station, First Choice, to air pornographic content raised the prickly question of the role of the media regulator as arbiter of public morality in Canada. However, during a time of economic instability, this policy of liberalization was all part of a governmental strategy to find new ways to promote both the economic prosperity and the national unity functions of media without having to bear all the costs directly. 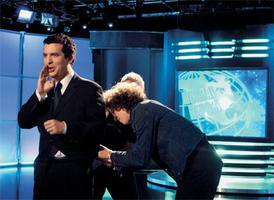 In addition to increasing the number of channels (including TSN, YTV and MuchMusic) in order to provide a larger outlet for Canadian content, federal and provincial governments established a number of funds and tax incentives (including TELEFILM CANADA in 1984) to help finance the production of domestic programming. These initiatives corresponded with the encouragement of an export market for Canadian television shows and the beginning of co-productions between producers operating in different countries. Comedies such as THE KIDS IN THE HALL and youth programming such as Degrassi Junior High proved to be successful in the US market because they provided American audiences with a unique style and more somewhat risqué subject matter. However, if there was hope that Canadian programming would explain Canada to Canadians and others, it was subverted by the requirement that programs for international markets should avoid obvious Canadian references. For Canadian television audiences, the 1980s prepared viewers for a looming technological environment with new modes of experience such as TELIDON as well as increased choice of both foreign and domestic content. In 1993, Prime Minister Chrétien's Liberal government began to reorganize the Department of Communications' authority and agencies into the newly established Department of Canadian Heritage and the Department of Industry. This reorganization signalled the growing split between the political and economic perspectives on media and communication technology. 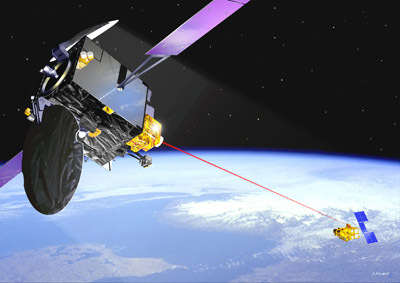 For the remainder of the 1990s, the government's policy of liberalization was demonstrated by the emergence of a number of new technologies and economic ventures that would provide Canadians with even more television content including the introduction of direct-to-home satellite broadcasting service and specialty channels. This was welcomed by the Canadian media industry, which argued that this policy was necessary to allow it to respond to technological changes. In 1999, the CRTC made two key rulings that would significantly shape the future of television in Canada. Although the first decision - to exempt new media from the Broadcasting Act - did not have an immediate impact, it would later affect policies such as Canadian content rules as more television programming was made available over the Internet. A second, apparently innocuous, decision to grant BELL CANADA ENTERPRISES a license for the specialty channel Canal Evasion, a French-language travel channel, would signal the beginning of a much more significant series of events. With the CRTC reversing a longstanding policy that prohibited companies from owning multiple assets within and across the media industry, this decision sparked the era of MEDIA CONVERGENCE and a number of mergers within the Canadian media industry: Canwest Global's purchase of SOUTHAM INC for $3.2 billion, Bell Canada Enterprises' purchase of CTV for $2.3 billion, and Quebecorp's purchase of Videotron for $5.4 billion. For Canadian households, the increase in choice and new forms of distribution came at a price. In 1979 the number of channels made available by one Toronto cable company was 13 and cost $6.00 per month; by 1998 the channels increased to 77 and the monthly cost to $20.11. Television in Canada has changed dramatically since it was first introduced in 1938. In the 21st century, the term "television" is imprecise considering the many forms in which people can access and watch television programming on non-traditional platforms such as computers, cell phones, portable media players and high definition (HD) sets. The technological changes have significantly altered the way we think about television by challenging the notion of the "average viewer" and the measurement of that person's viewing habits. These changes have resulted in many challenges to both Canada's regulatory system and media industry. With the proliferation of channels and content available over the Internet has come the era of audience fragmentation. However, traditional networks continue to draw audiences with popular programs such as reality television shows, news and sporting events. Much like the Howdy Doody Show nearly 50 years earlier, popular global reality television shows have been emulated through format franchising agreements to produce Canadianized versions such as CTV's Who Wants to be a Millionaire: Canadian Edition, Canadian Idol and So You Think You Can Dance Canada. Even CBC (which "did not do reality programming," according to its president Robert Rabinovitch) once suggested it has produced a number of reality shows (including The Greatest Canadian, Hockeyville and Canada's Next Great Prime Minister) that focus on subjects that attempt to fit its mandate as a public broadcaster. Other popular Canadian shows to emerge that have managed to find an export market have been CTV's Corner Gas, Showcase's Trailer Park Boys and CBC's Little Mosque on the Prairie. Important effects of audience fragmentation and the proliferation of content due to digitization have been increased competition among domestic broadcasters for programs that can draw large ratings, and also the instability of the economics of local broadcasting. As a consequence, two important changes have occurred. First, CTV, which owns the French and English language sports channels Réseau des Sports (RDS) and TSN (THE SPORTS NETWORK), has usurped CBC as the country's premium broadcaster of televised sports by outbidding the public broadcaster on a number of contracts: in 2002, CTV ended Société Radio-Canada's 50-year tradition of La Soirée du Hockey by paying $80 million for a 5-year contract to air Montreal Canadiens hockey games; in 2004, CTV partnered with Rogers Communications to purchase for $154 million (US) the rights to broadcast the 2010 Vancouver Winter Olympics and the 2012 London Summer Olympics; in 2006, CTV paid $16 million to end the CBC 50-year tradition of broadcasting the Canadian Football League's Grey Cup game; and finally, in 2008, CTV paid approximately $3 million for the rights to the well-known theme song for Hockey Night in Canada. 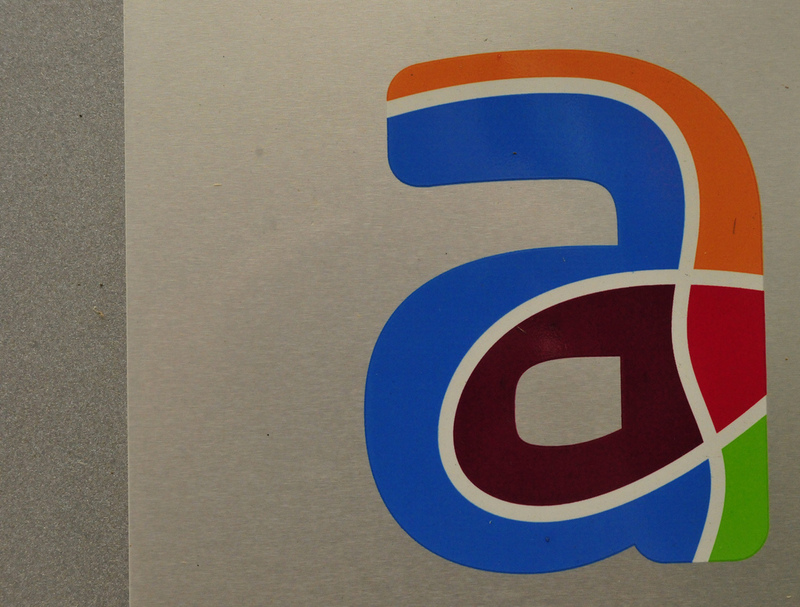 The second major change, the shift toward cable and satellite distribution along with the wave of corporate mergers and competition for advertisers, has challenged the necessity for networks to maintain local broadcasting affiliates and has encouraged both CBC and the private broadcasters to shut down their local stations in smaller urban and rural markets. One result of this particular trend has been the increased tension within the Canadian media industry between those that own television channels and those companies that distribute these channels over satellite and cable. Ten years after the CRTC's decision to exempt the Internet from the Broadcasting Act and after the wave of corporate mergers, there is growing pressure to redesign the regulatory system to meet the many technological and economic changes. 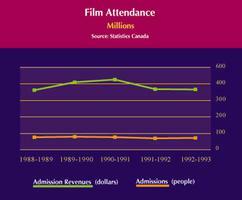 At the centre of this debate is the issue of Canadian content. The expense of switching to HD technology and the challenge of making a profitable online business has caused much animosity between broadcasters and the people who work in the industry. Underscoring this conflict within the industry is the awareness by Canadians of the amount of television offered online by American broadcasters. In 2008, the American network that had the least amount of its content online in the US (CBS at 55%) still offered twice as much as the Canadian network that offered the most content online (CTV at 24%). However, as the financial interests of domestic broadcasters and cable/satellite companies diverge, the balance between the political and the economic perspectives of media is further complicated. Broadcasters who are affected by a lack of advertising revenue and increased costs of production are beginning to demand that the cable/satellite industry take on greater responsibility for maintaining Canadian content. Although the debates surrounding media policy tend to concern interested parties such as actors' unions, corporate executives, academics and cultural nationalists, one issue that is certainly on the mind of the average Canadian is the increase in costs associated with receiving television and media services. From 2002 to 2008, the average cost of cable and satellite services rose by 29%. Considering the CRTC's decision in May 2007 to transition all broadcasting to digital by 31 August 2011, it is clear that one of the first steps towards redesigning Canada's regulatory regime will be to regulate the prices of cable and satellite providers to not only help subsidize Canadian programming but to also ensure that Canadians have access to television and other media services. Bart Beaty and Rebecca Sullivan, Canadian Television Today (2006); Richard Collins, Culture, Communication and National Identity: The Case of Canadian Television (1992); Gordon Pitts, The Kings of Convergence: The Fight for Control of Canada's Media (2002); Paul Rutherford, When Television was Young: Primetime Canada 1952-1967 (1992). Alphonse OuimetA profile of Alphonse Ouimet, the "father of television in Canada." From the Canadian Science and Engineering Hall of Fame.